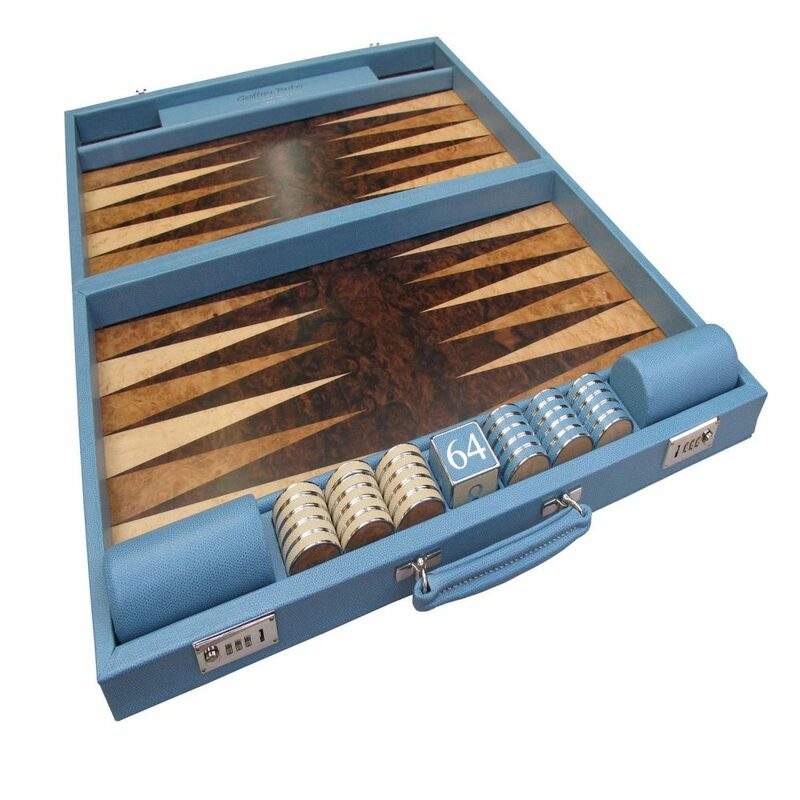 For those Backgammon players who like a “noisy” game but also require the ultimate in luxury, we have twinned the two ancient and traditional crafts of the woodworker and the leather-worker to stunning effect. 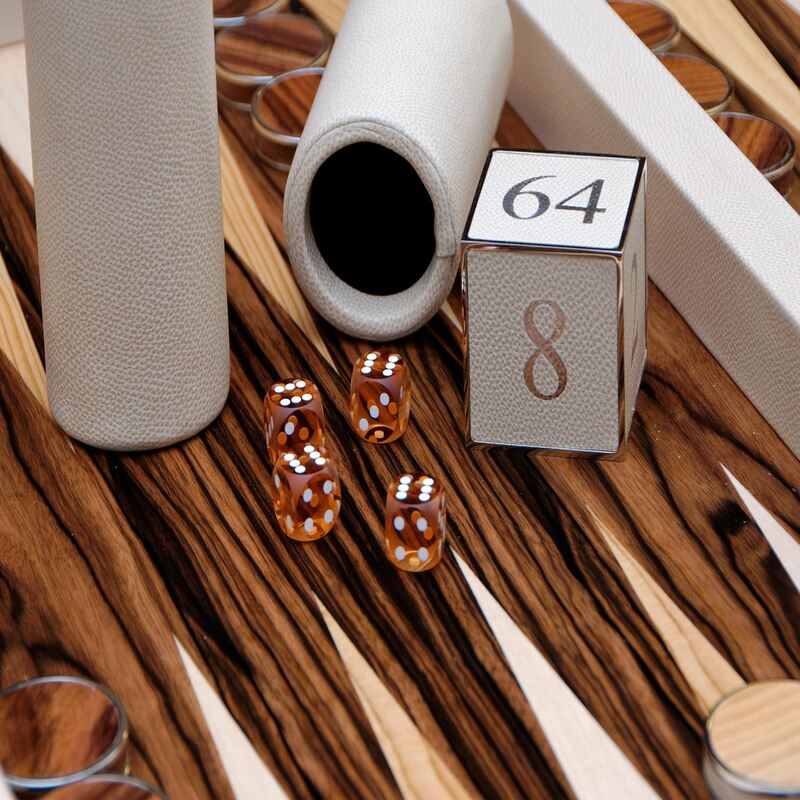 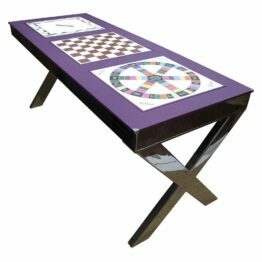 Our Leather and Wood Backgammon boards are provided with our signature leather, metal & veneer checkers. 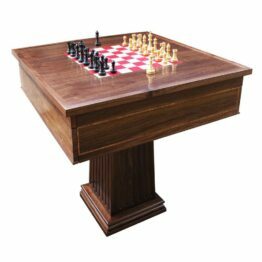 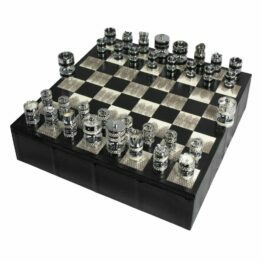 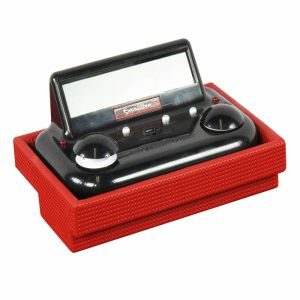 These checkers are available with either Chrome or Gilt finish. 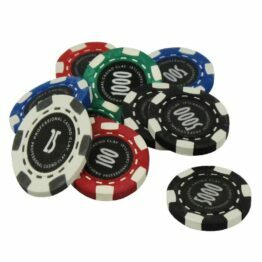 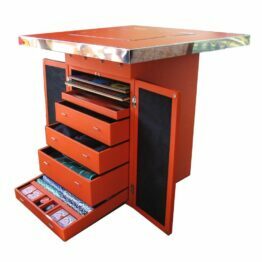 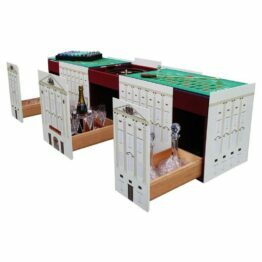 Our Custom backgammon sets are world famous amongst backgammon champions and casual players alike. 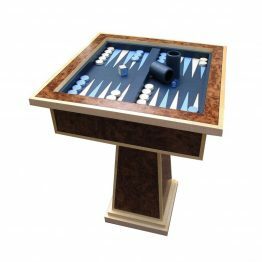 A matching leather & metal doubling cube, a pair of uncrushable dice cups, suede lined with trips & 16mm ball cornered dice complete the set. 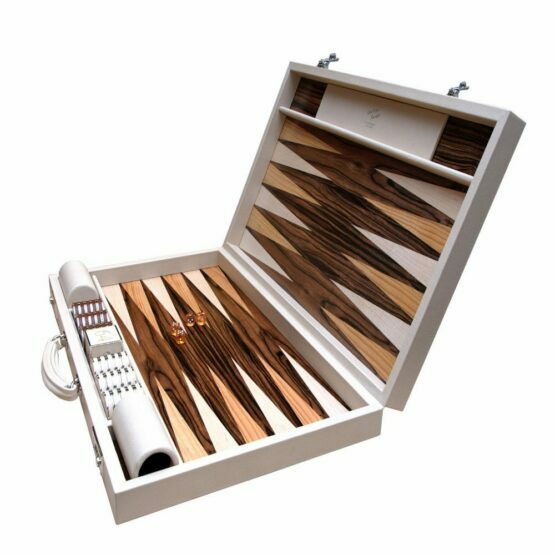 Don’t forget the choice between Chrome or Gilt combination locks before finishing off with a handstitched leather handle to match the case. 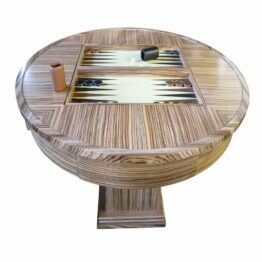 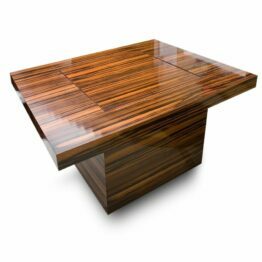 Due to the natural materials we work with there are often slight differences between the sizes; these are usually between 1 and 5mm. 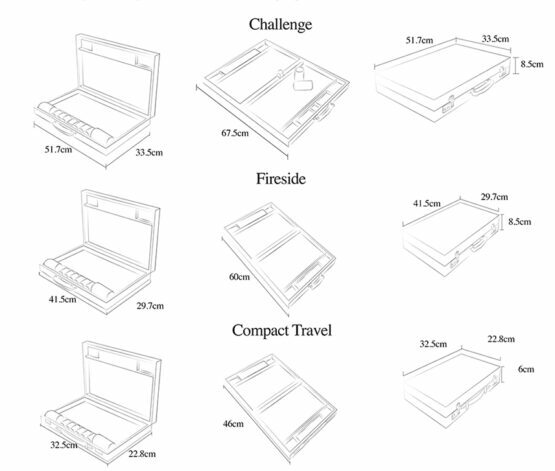 Below is a guide to the sizes of our board and what you can expect. 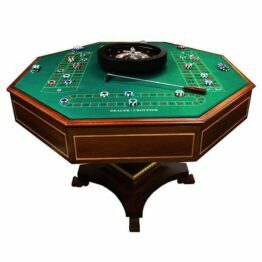 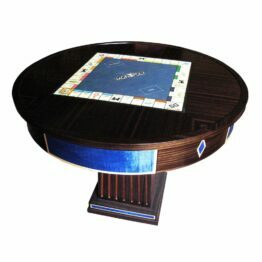 The checkers and dice cups are sized to fit within the board but if you have special requirements please get in touch. 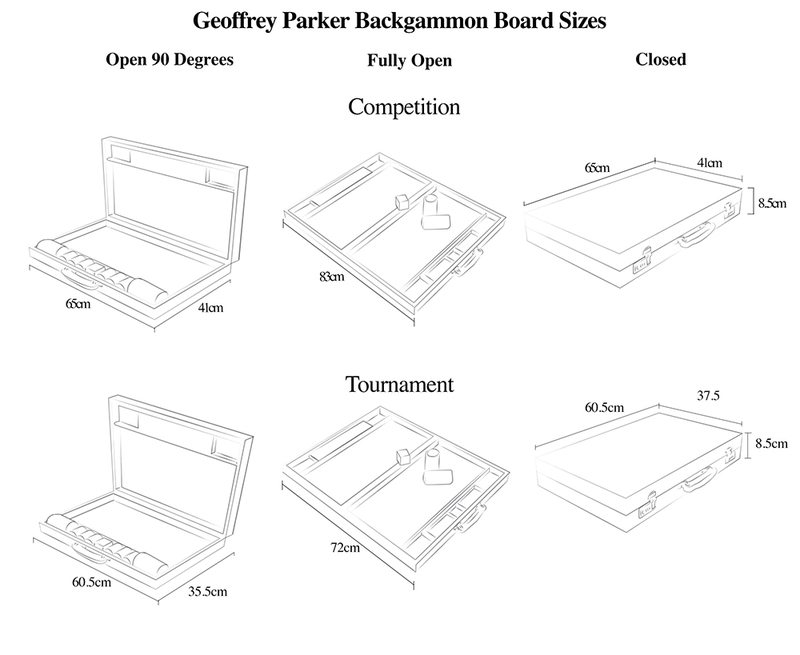 Board Open: 83omm x 65omm x 48mm. 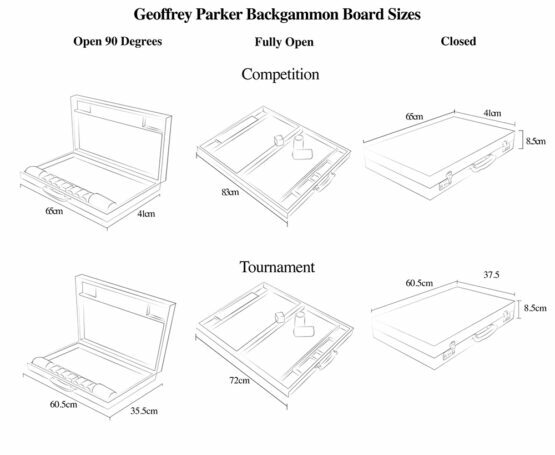 Board Closed: 25.59" x 16.14" x 3.34"
Board Open: 32.67" x 25.59" x 3.34"
Board Closed: 23.81" x 14.76" x 3.34"
Board Open: 29.92" x 24.01" x 1.88"
Board Closed: 20.35" x 13.19" x 3.34"
Board Open: 26.7" x 20.47" x 1.88"
Board Closed: 16.33" x 11.69" x 3.34"
Board Open: 24.01" x 16.53" x 1.88"
Board Closed: 12.79" x 8.97" x 2.36"
Board Open: 18.11" x 12.99" x 0.11"